In the competitive world of e-commerce, brand differentiation is imperative to remaining relevant. With the click of a mouse or tap of the finger, consumers can compare your product with other brands. 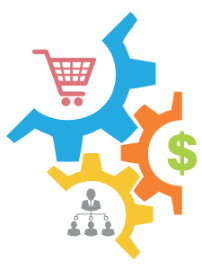 Unless your product is first to market, things like consumer reviews, current promotions, product price, estimated ship time, website speed and the ease of cart checkout can all factor into the buying decision. While these factors should be considered when building your brand strategy, creating a unique identity expressed through packaging can be a driving force in new customer acquisition and fostering loyalty. What Are the Main Components of Fulfillment Costs? 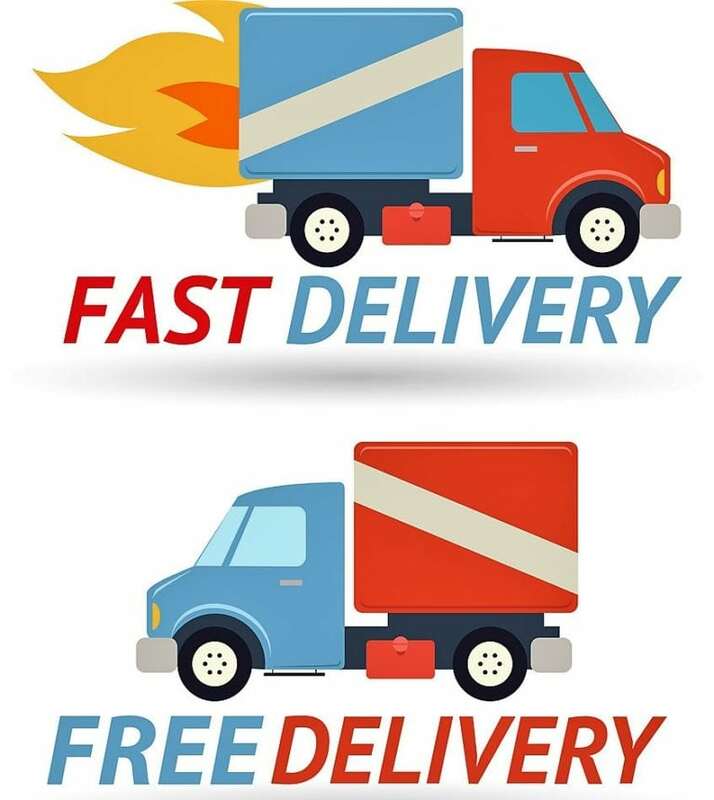 Fast Shipping Vs. Free Shipping: Which Is Right For You? Think back to the last package you received…did you eagerly track it from the initial confirmation e-mail through delivery, just to rush home and unwrap it? As you sliced into the packing tape, what caught your eye? Was the box appropriately sized for its contents? Did you receive anything with your purchase? Excluding whether the product measured up to your expectations, did you walk away with a favorable impression of the brand? In an era of technology, these thoughts matter. A recent study concluded that over 52% of online shoppers who receive branded packaging will purchase again, and 40% will recommend the company to friends and family or share their experience on social media. This statistic suggests that packaging can play a pivotal role in creating buzz for your brand. With such an emphasis on cultivating an experience through unboxing, we take an in-depth look at packaging trends that are sweeping through e-commerce. 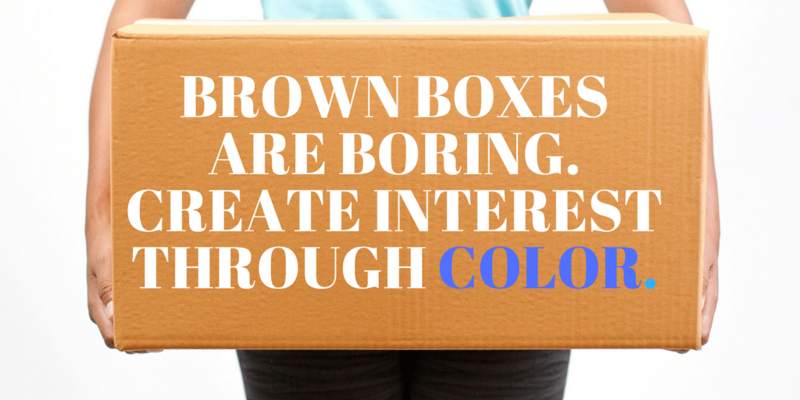 Brown boxes are boring. Create interest through color. Gone are the days of standard corrugated brown boxes. Retailers are pushing the envelope and foraying into an exciting world of hues, often matching mailer boxes and shipping box packaging to their brand colors or logo. At the prismatic forefront are subscription box companies who often introduce stylized packaging variations each month to captivate their subscribers. Ever heard the saying, “it’s what’s inside that counts?” Ecommerce retailers have taken this common expression to new heights, with consumers sharing their “unboxing” experience across a variety of media through photos, “spoilers”, candid reviews and videos. Some of these posts draw as many as a million viewers. As brands strive to garner this level of attention, many focus on shaping perception through creative and exciting content. Death Wish Coffee is a great example of a company who is successfully creating repeat buyers through their unboxing experience. They start with a custom-printed black box with red and white branded messaging on both sides. A skull and crossbones sticker completes the “first impression” and promotes their marketing slogan, “World’s Strongest Coffee.” Inside the box, the pound of coffee is neatly tucked with several free gifts which vary by month. Examples of branded gifts include stickers, a coffee scoop, coasters, commemorative coins, patches that can be sewn onto clothing and even a comic book! The variety encourages repurchasing and has created an enviable fan base of over 350,000 customers. Sustainability, it’s more than a buzzword. 32% of Americans desire sustainable packaging options. With 1 in every 4 consumers interested in responsible purchasing, companies are incentivized to invest in waste reduction and environmentally friendly materials. Businesses are getting creative with their interior and exterior packaging to win over these consumers. The greatest focus within sustainable packaging is on addressing the three R’s: reduce, reuse and recycle. Packaging reduction has benefits that far surpass gaining consumer approval. By selecting an appropriately sized box, retailers can reduce the financial impact of dimensional weight charges, breakage and packaging costs. Some companies like Coffee for Less, have reduced their exterior packaging waste by using branded strapping tape. The personalized strapping promotes their brand, can secure multiple cartons weighing up to 50 lbs. and has significantly lowered their zonal shipping costs. A growing trend in sustainable packaging is reusable materials. From biodegradable boxes and fill to innovative product packaging that doesn’t require an outer shipper, today’s ecommerce brands are minimizing their carbon footprint to lower packaging costs and gain consumer approval. Returning customers spend on average 67% more than first-time customers. As an e-commerce company, retention can be based on the customer’s first impression when they receive their order. In a survey of what matters to customers, they referenced easy to open packaging, appropriately sized boxes, well packed materials, recycled materials and that that the package is attractive. Meeting this criteria can come down to packaging material selection such as fillers, tape and boxes. Pricing for these options varies dramatically depending on the order quantity, number of colors, print complexity, box size and supplier. Colored mailers can be come at a considerable expense, with prices ranging from $1.25 – $4.25 per unit when purchasing 25+ bundles of black, green, navy, red, chocolate or white gloss boxes. For those who are cost-conscious, a similar experience can be replicated through customized stickers added to basic brown and white corrugated boxes. Sold in sheets, a 1.5” diameter branded circular sticker can be purchased in bulk from an online supplier for a nominal cost of $0.13 – $0.24 per unit. In the early days of e-commerce shopping, retailers relied on inexpensive, lightweight fillers like Styrofoam packing peanuts and sheets. After the US Environmental Protection Agency filed a report that declared polystyrene foam the 5th largest creator of hazardous waste, a possible carcinogen and an ozone-depleting chlorofluorocarbon, alternative fillers became commonplace. Serving a dual purpose as both protective and space filling, bubble wrap is a popular filler. With multiple sheet sizes and the option to purchase pre-filled or unfilled, this versatile material can accommodate many shipping scenarios. Most economical and can be used as fill and protective packaging. Available in bubble sizes of 3/16”, 5/16” or ½” and perforated/non-perforated. Sold in bulk sizes as bundles. One layer of bubble. Perforated single roll ranging from $11.25 – $236 for 3/16” and $5.50 – $108 for ½”. Non-perforated single roll ranging from $14.75 – $236 for 3/16” and $6.75 – $108 for ½”. Less likely to tear or puncture. Has three layers of bubbles. Unlikely to flatten. Available in bubble sizes of 3/16” or ½”. Higher cost than standard bubble with single roll ranging from $49 – $94 for 3/16” and $37 – $67 for ½”. May add additional shipping costs due to sheet weight. Offers same protection as standard bubble, but at higher cost. Ideal for companies who want to use environmentally friendly fill, sourced from recycled materials. Available in bubble sizes of 3/16” or ½”. Single roll ranging from $32 – $61 for 3/16” and $24 – $44 for ½”. May also decrease waste due to pre-portioned (perforated) sheets. Best for products that need additional protection as it can be wrapped tightly around the product to create a seal. Available in bubble size of 3/16”. Single roll ranging from $42 – $209. May also decrease waste due to pre-portioned (perforated) sheets. Specialty form of industrial-duty bubble that offers protection from static through a nylon barrier. Primarily used when shipping electronics or products. Higher cost than standard and eco-friendly bubble. Available in bubble sizes of 3/16” or ½”. Single roll ranging from $43 – $172 for 3/16” and $32 – $98 for ½”. May also decrease waste due to pre-portioned (perforated) sheets. Requires minimal space for storage. Need a special machine to inflate, which drives up initial cost. Most economical in the long-term since it costs less to ship and can create the equivalent of 10 rolls of standard bubble from a single roll. Available in bubble sizes of ½”, ¾” and 1.” Single roll ranging from $243 – $486 for ½”. May also decrease waste due to pre-portioned (perforated) sheets. Dunnage is a paper fill used when packing boxes to protect their contents from damage during shipping. It can be purchased in bundled sheet sets, by the roll or as a dispenser box. 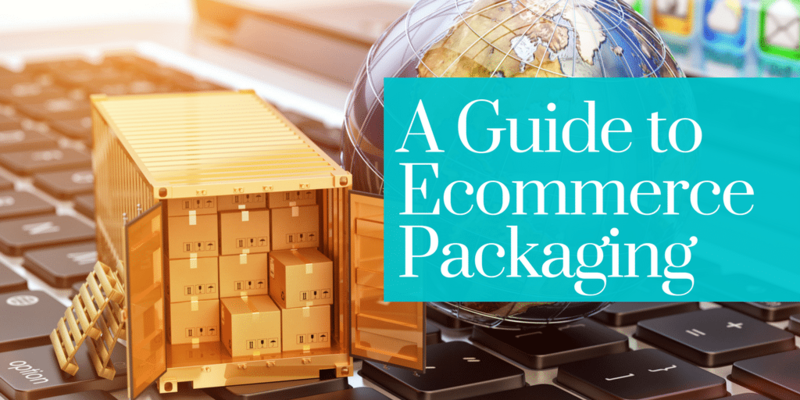 As an inexpensive, lightweight and environmentally friendly material, it is frequently used to pack ecommerce orders and can be purchased in a variety of formats. The lowest cost option, newsprint is available in a smattering of sizes and can be purchased by the bundle or skid and is available in both sheets and rolls. An economical and 100% recyclable option, they can be used to wrap products and stuff boxes. A newsprint 30 lb. basis weight 18 x 24″ sheet bundle costs around $51 with an average cost per piece of $0.03. Like newsprint, Kraft paper is available in a wide array of sizes and by sheet or roll. Additionally, it can be purchased with fiber reinforcement, colors (red, yellow, blue, black,) tear resistant virgin fiber, anti-tarnish acid free, metal safe poly coated and heavy-duty non-abrasive indented. An economical and 100% recyclable option, they can be used to wrap products and stuff boxes. In comparison to newsprint, they offer more protection and cost a few cents more per piece. A standard Kraft 30 lb. basis weight 18 x 24″ sheet bundle costs around $73 with an average cost per piece of $0.04. The least economical option, tissue paper offers minimal cushioning but maximum visual appeal. Tissue paper comes in two grades, industrial and gift. Industrial paper provides additional cushioning, but is only available in ecru for around $82 for a 20 x 30” sheet bundle with an average cost per piece of $0.04. Gift grade tissue paper is available in hundreds of colors and starts around $148 for a 20 x 30” White sheet bundle with an average cost per piece $0.03. ROYGBIV colored papers range from $31 – $34 per sheet bundle with an average cost per piece of $0.04 – $0.06. Metallic colored tissue papers cost around $43 per sheet bundle with an average cost per piece of $0.22. Custom colors and decorative papers range from $38 – $41 per sheet bundle with an average cost per piece of $0.09 – $0.19. Honeycomb is an environmentally friendly, recyclable paper-based fill that provides heavy-duty protection with a weight capacity of up to 2,500 pounds. Extremely lightweight, it weighs less than an ounce per sheet. It is malleable, and can be shaped around a product to prevent movement during shipping. The material can also be cut to size. Typically, hexagonal honeycomb corrugated pads are used as a box partition, carton base, wall enforcer, for layering between pallets or as cushioning material. Sold in sheets by the skid, a 40 x 48 x 1/2″ single sheet is priced around $4.80. For the uninitiated, PolyVinyl Chloride, otherwise known as PVC, is one of the most affordable tape options. With a dazzling array of color combinations and relatively matte appearance, PVC can look striking against a rather simple box. The material is uniquely insulated against some electrical currents, is non-corrosive, fire-retardant and is also water resistant. The high-adhesion means this tape is perfect for heavy-duty shipping of packages exceeding 30 lbs. A favorite of waste conscious, high volume shippers, gummed fiber tape offers numerous benefits to those looking for a high-performance tape. Fiberglass tape is typically available in white and tan. The tape can be printed on in various colors to improve the visual component. One advantage of fiber tape is its ability to seal parcels weighing up to 50 lbs. When loaded into an automated fiber tape dispenser, the tape can reduce waste by only dispensing strips appropriately sized for the box being used. Additionally, when applied correctly the matte tape has a smooth, professional appearance and only requires a single strip to seal. As the most economical option for packages under 30 lbs., polypropylene tape is commonly used. The tape features a glossy finish and satisfying crackle as it is unrolled onto a box. For most retailers, the low cost outweighs its general performance. Classified as a “standard duty” tape, polypropylene should be purchased in 2.2 mil or higher widths if you’re sealing a box that requires a strong hold. Available in polypropylene, fiberglass and polyester backed filaments, strapping tape offers the strongest hold for retail packing. A versatile tape, strapping can be applied through automated machinery, a hand-held dispenser or with a manual stationary dispenser. With a multitude of tensile strengths and widths, this tear resistant tape is ideal for heavy loads, DIM challenged packages or lower quality boxes. Every decision down to packaging can impact your consumer impression, sales performance and bottom line. Consumers demand a seamless experience, from the moment they click “buy” to when the package arrives on their doorstep. The last thing you need is inadequate packaging that damages their purchase. Neither buyers nor sellers want that to happen and it triggers the return process, costing you money and your customer’s time. Packaging may seem trivial, but getting it wrong, even just on occasion, can change a client’s perception of your product and company. 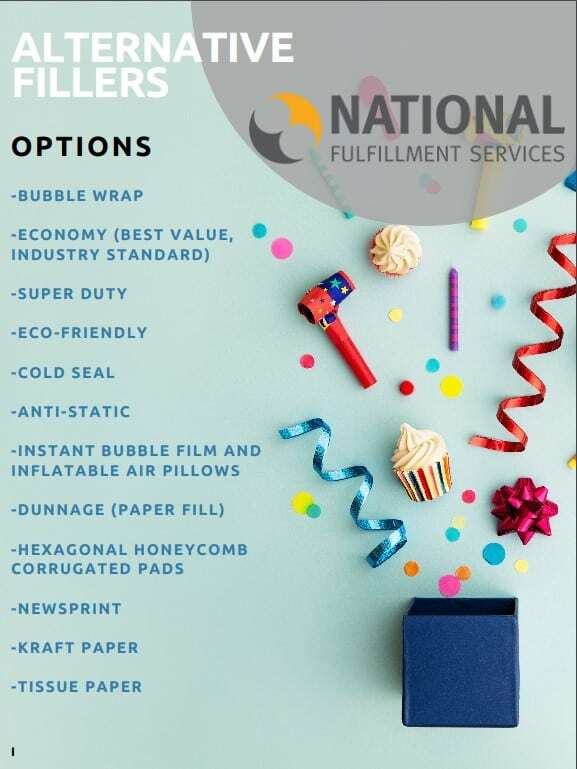 National Fulfillment Services is a full-service B2C and B2B turnkey solution for complete fulfillment services. We excel in handling focused solutions for contact center, order management and complete distribution.